MTN BetaTalk is one of the prepaid tariff plan that offers you up to three times (300%) value of any recharge you make. It gives you 200% bonus airtime on every recharge starting from N100 and above. BetaTalk charges National calls (all network) in flat rate of 40 kobo per sec which can be converted into minutes to be N24/min. The charging is placed on both customer's main account and on bonuses given too. In BetaTalk tariff plan, the rate at which one can send message to National numbers and to all networks in Nigeria is at N4. While for international is N15 for each SMS. 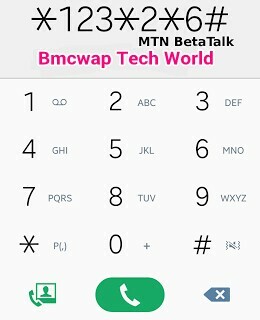 MTN BetaTalk tariff plan charges or collects airtime from your main account balance and that of the bonuses given, for all National calls and SMS. International calls are charged from the main customer's account at the prevailing international call rate. Once you are on BetaTalk tariff plan, you are entitled to get free data of 10MB for every recharge of N100 and above that you make. It can be given once in a week. So that means, the first recharge of N100 and above will attract the free 10mb while subsequent eligible recharges in same week will not offer any free 10mb data. The free data awarded on the first recharge in every week last for a period of 7days from the day of recharge. So after 7days of expiry, one can get another free data offer on any recharge (N100 above) made. To check the data bonus dial *559#. 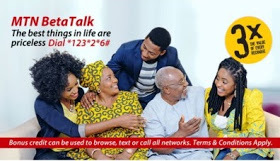 Any one is eligible to migrate to MTN BetaTalk for free of charge. You may be asking your self, why should I migrate to this particular plan? See the below summary. ==>You get 200% bonus on every recharge you make even if its 20 times in a month. ==>The free 10mb is given once in 7days upon the recharge of #100 and above. Subsequent recharge in the same week will not amount to any mb. ==>The 10mb expires in 7days if not exhausted. You can do that by simply dialing this code *123*2*6# or you can text BT to 131.